Carecycling make it simple for residents and businesses to have there recyclables properly recycled. There are approximately 2,000 certified recycling centers in California let us help find the right one for you! Whether you need to dispose of your old appliance or have a couple water bottles you need to recycle. 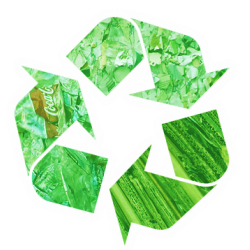 Carecycling is there to help you keep your recyclables out of landfills and stay green with some great tips on how to reduce, reuse, recycle. Now a days we don't hear enough about the importance of recycling and the impacts it has on our planet. Carecycling isn't only a find a recycling center service but a community focused on our future and planets health. Join our forums to help and discuss with others all topics recycling. Remember to separate your recyclables from your trash and find a recycling center. If you have any questions or concerns please contact us. Find a recycling center near you today!